Invariably coaches get asked "what is it you do?" and usually they say something along the lines of "I'm an executive coach" - resulting in an underwhelmed look by the person that asked the question. Now, an alternative reply could be: "I help people break out of their limiting stories", followed by "If you think about it, we all go round in a story about our lives and parts of it don't work all that well, do they?" Then, more detail and specifics follow about what executive or life coaching is, or examples of ways that people work together. Deep or transformational coaching can be fascinating, but many coaches want to get right into the how of what is going on and stick to that path like a dog with a bone. It is easy to recognise that we go round in behaviour loops or habits that don't work. We stick with them and look for "how to break the pattern" by taking action which doesn't necessarily solve the issue or habit in most cases. In simple terms how equals taking action, getting into activities and setting up goal setting activities. People can have a very powerful why which is a belief about what's happening that draws them forward. However, they get tired or exhausted by the how loop - activity that doesn't work because of what may be missing, or even not required because they haven't gone deep enough into what's been going on in this loop. In simple terms what equals things like people, resources, places, physical items and relationships. For someone to be clear about their why, and by being guided deeper, it can become apparent that what they need to focus on is crucial and necessary before moving straight into activities. Fundamentally many coaches and clients can move at a speed where activity becomes much more important than the things that need to be in place as a foundation to build on. What you want and why are very enlightening questions to ask before you get right into how you achieve that vision or goal to create change. The how is crucially important when clarity has been brought into play. Getting off the surface problem and into questions at a much deeper level of clarity create transformation for you. Are you ready for that breakthrough? 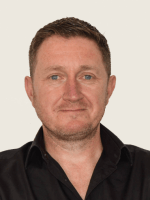 Mark is a leading executive and life coach and has studied and used NLP, mindfulness and trance work with great effect for many years to help people create clarity in their lives in many focus areas. The power of imagination Why aren't I as happy as I 'should' be?